New Pro-XT 3575-B Armorskids® design for your machines. The new Troy-Bilt machines have mounting bolts higher than older models. 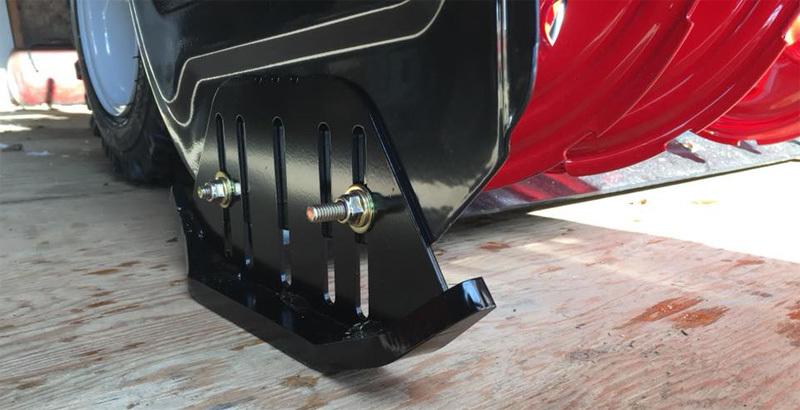 We’ve developed an extra tall version of our 3575 Pro Series skid, specifically for the new Troy-Bilt machines. The XT size is bases off our Pro Series 1/2″ thick bottom runner, and is 5 inches tall to give plenty of adjustment for those machines that have these issues with the regular series Armorskids®. Note: Our Patented Skids are Black.